I am currently working with a client to add a few pieces to his new Living Room. One of the first things I suggested is a new rug. His home has beautiful, dark hardwood floors that extend throughout the lower level into the kitchen and dining area. 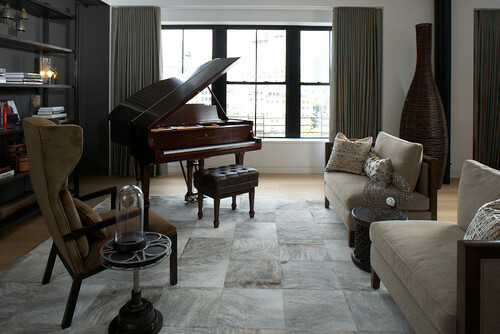 An area rug to define his Living Room will be the perfect way to add some color, texture and style. 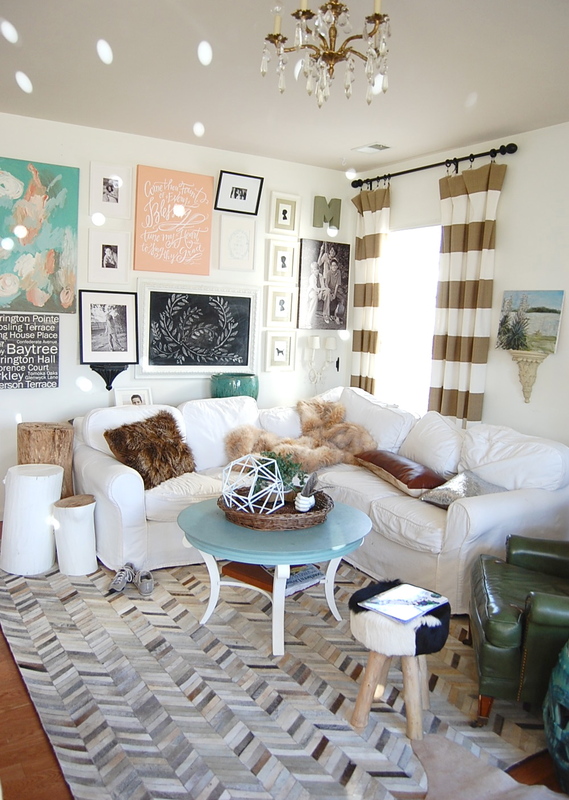 There are several great websites to shop for laser cut cowhide rugs like these. I found these beautiful options on sites like Floors USA, Overstock.com, and Joss & Main to name just a few. I found the same rugs on different sites, with varied pricing. It pays to shop around!